It’s coming. Spring, it’s coming. 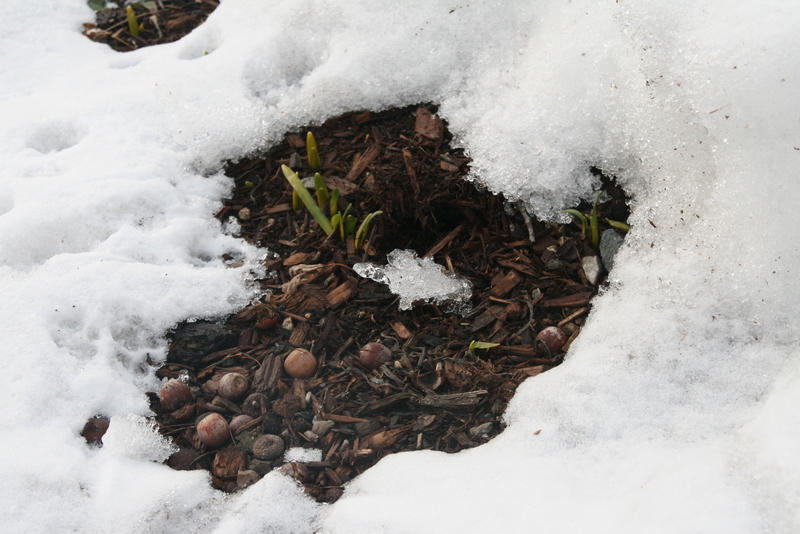 Look here, it’s February 26, it snowed last night, but the daffodils don’t lie. Here they are peering out from under a lot of snow. 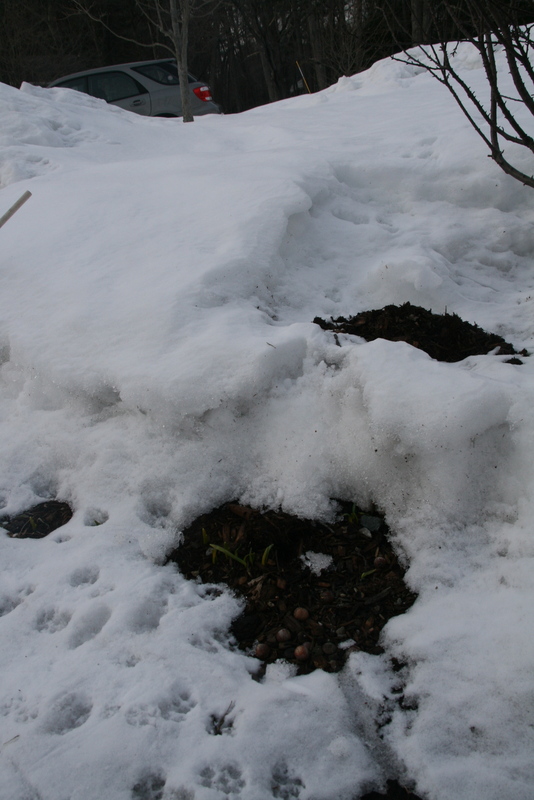 Gardeners take heart, spring, it’s coming! 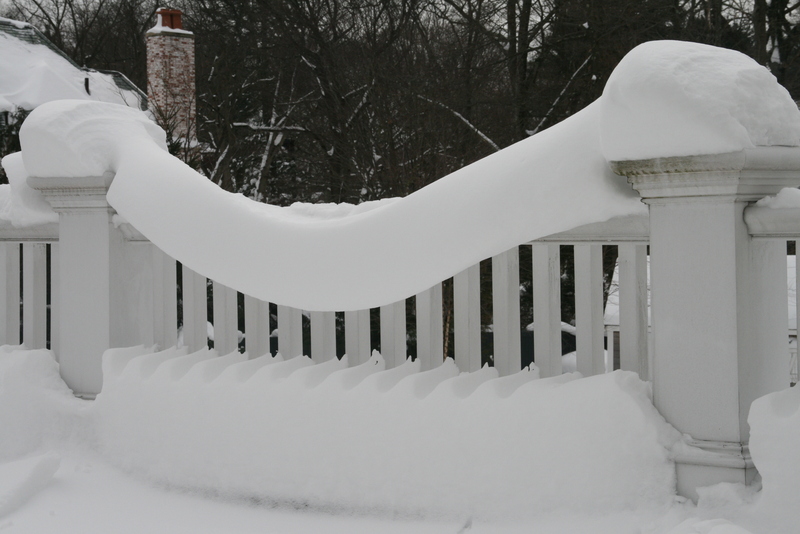 There is no doubt there has been a lot of snow this winter. Roofs are falling in, snow removal budgets are depleted, events have been cancelled, school will go til July to make up the snow days. Driving is difficult, walking an adventure, shoveling is brutual. But in the midst of all the complaining and all the hassle, I’d like to celebrate the beauty of the snow. Take a moment to appreciate the glory of nature, and it’s unintentional art. I have been enraptured many times these past months as I look outside and see how the snow surprises me. 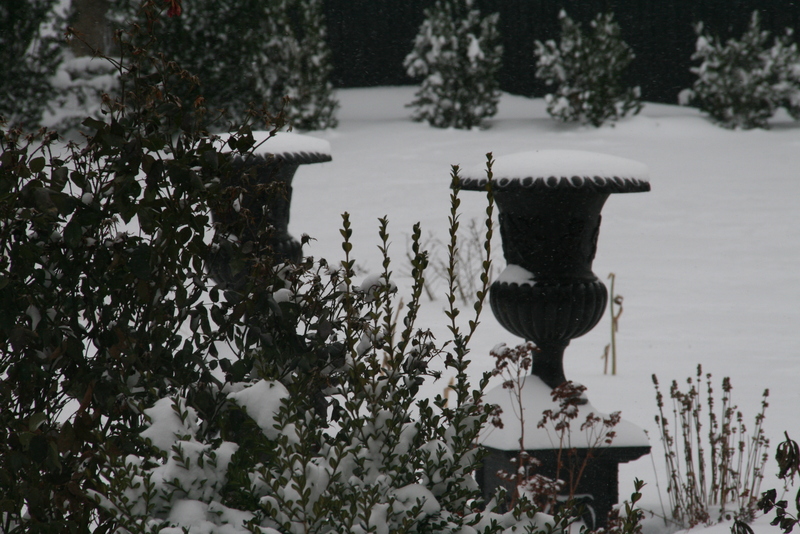 And, as a gardener, I could ask for no better help from Mother Nature than the warm blanket of snow she has spread on my garden, keeping all my plants safe and warm and snug until spring. Snow is a gift. 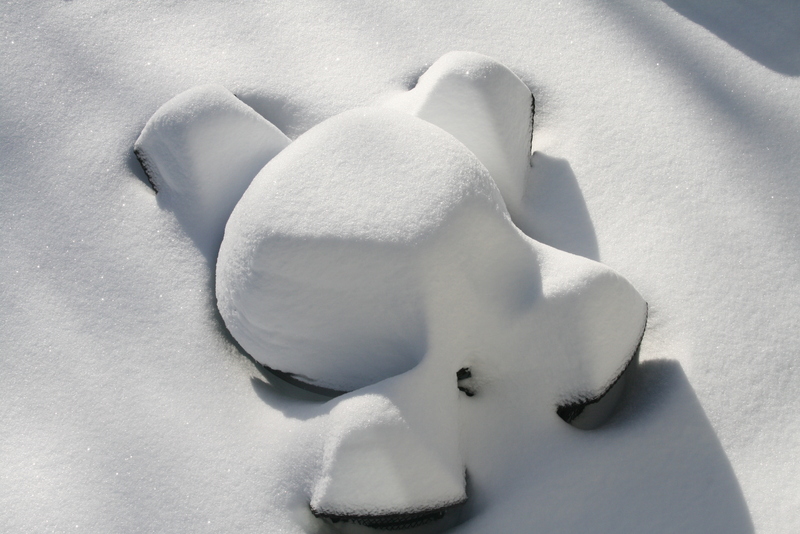 To many it might be a white elephant, but I cherish it….and wait for spring. A fantastic couple of red foxes took a stroll through my garden yesterday. They were quick about it, so my daughter only had a couple of minutes to grab the camera and takes a few shots. After sauntering through the garden, stopping only to pee on multiple bushes, one of the foxes hopped over my stone wall, the other decided he/she preferred to go under my deer fence. 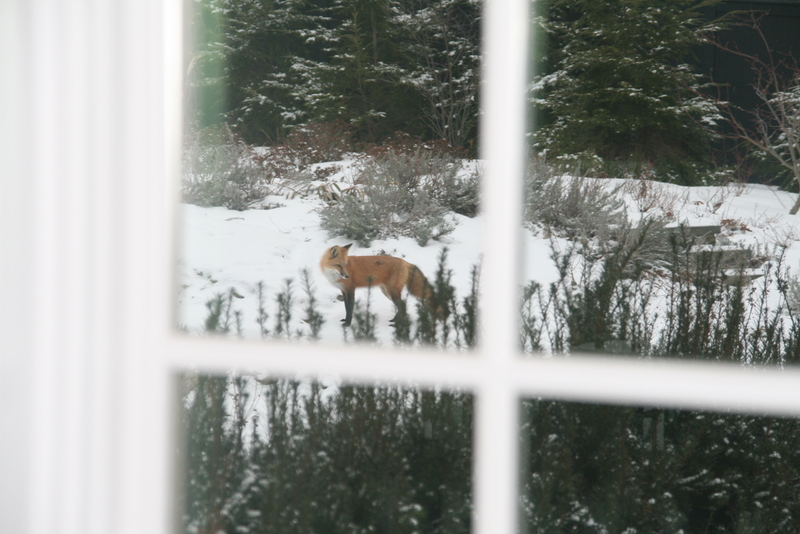 It was an exciting few minutes, watching “our” foxes. 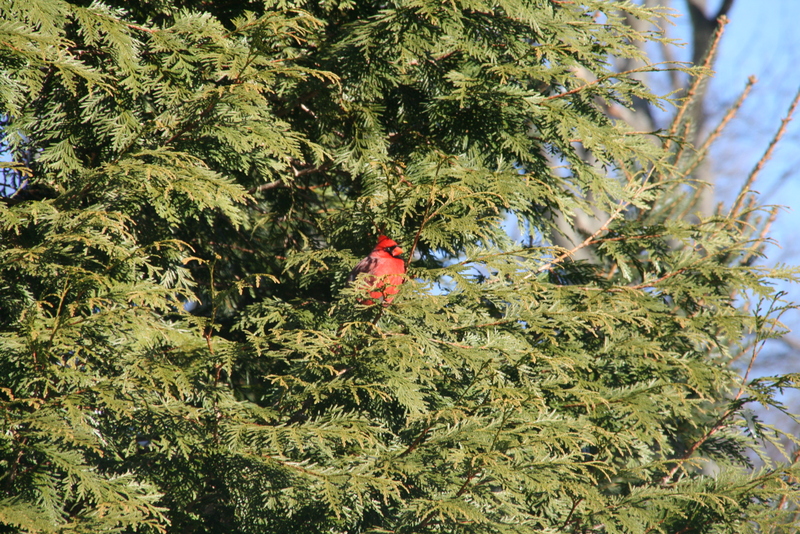 There is something so special about animals visiting a suburban garden. When I do get a visit from these foxes, or a pair of mallard ducks decides my yard is the place to build their nest, or even a baby rabbit and her mommy are caught nibbling on a prized perennial, I take it as a blessing and a sign from nature that I am creating a welcoming habitat. It fills me with intense joy to discover that, despite everything, I am capable of creating a nurturing environment. Through my garden, the universe grants me benediction. I embrace the blessing and continue to marvel at the healing nature of gardens. 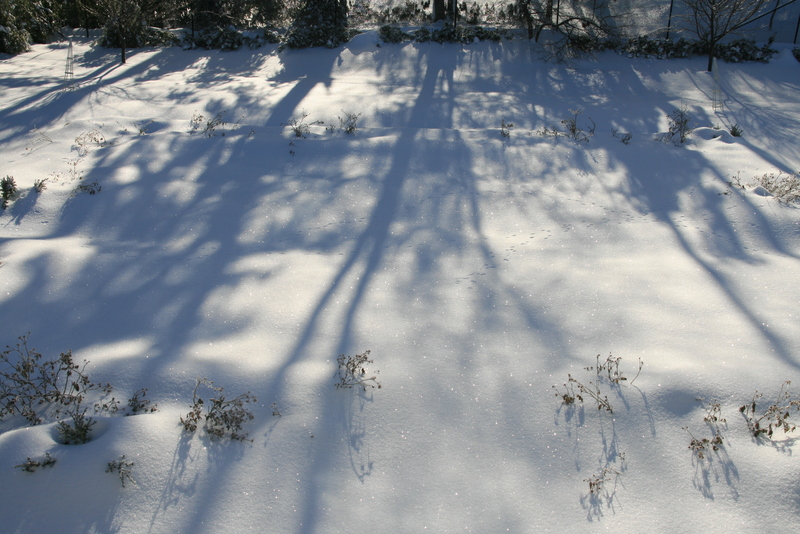 In the January garden I tend to look for, and to find, other ways of seeing the beauty. The utter stillness of the snow, the contrast of the green of the foliage against the white of the snow, the tubular touch of black, the dusky light – a scene only possible in winter. My garden is more peaceful in winter than at any other time of year. I enjoy my garden in winter in a different way than the other times of year. Not more or less, but different.